211 p., 18,1 x 25,4 cm. 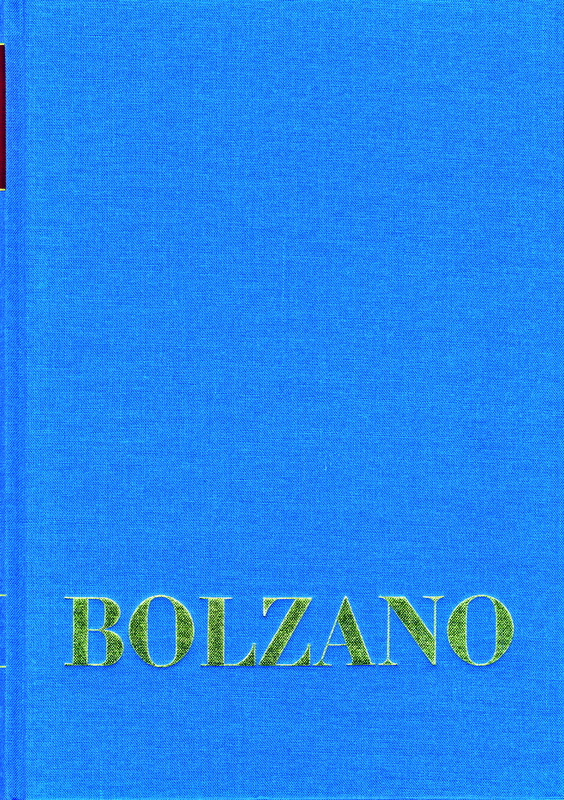 This critical edition of Bolzano’s main philosophical work incorporates his own corrections, among other things. It originated as Bolzano’s attempt to refute skepticism. In order to do so, he had to analyze the concept of the truth in itself to begin with, and this analysis led him to the concept of the proposition in itself. In this context he developed his theory of the reduction of sentences to a basic form which all have in common. All of these analyses and identifications of terms culminate in a theory of logical truth and of logical consequence. This is an outstanding achievement in the history of occidental thought. 201001411 - BOLZANO:GES.AUSG.I/14,1 This critical edition of Bolzano’s main philosophical work incorporates his own corrections, among other things. It originated as Bolzano’s attempt to refute skepticism. In order to do so, he had to analyze the concept of the truth in itself to begin with, and this analysis led him to the concept of the proposition in itself. In this context he developed his theory of the reduction of sentences to a basic form which all have in common. All of these analyses and identifications of terms culminate in a theory of logical truth and of logical consequence. This is an outstanding achievement in the history of occidental thought.